36 red Roses with Fruits Basket Send this round basket of 36 red roses with 6 items mix fruits basket. Make your mom feel like a star with a bouquet of Mothers Day flowers delivered. Although you might take Mom for granted sometimes, you'll always hold her in your heart! 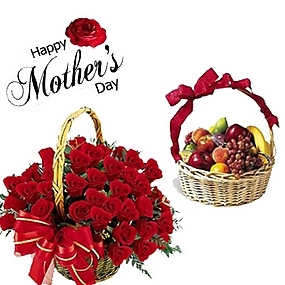 On her special day, send Mothers Day flowers to make her feel appreciated and pampered. 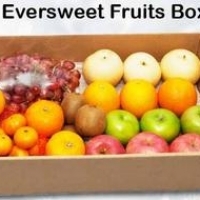 Note: Fruits will be transfer to a box.